The PDCA cycle is a method for making changes to work processes and improving standards. The letters PDCA stand for Plan, Do, Check, and Act. The PDCA cycle is employed by people at many levels of an organization. 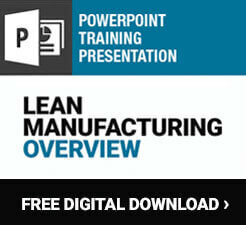 In many ways, the PDCA cycle is a great introduction to Lean manufacturing. Like all Lean methodologies, The PDCA cycle pushes production toward efficiency and strives to make processes better. 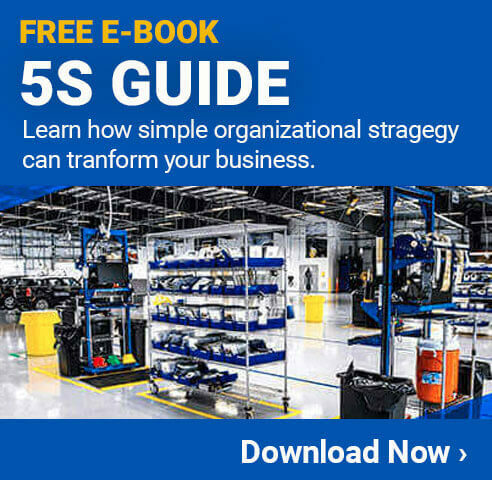 Leaders use it to improve and check in on standard work procedures, teams can use it during a kaizen event to make changes, and managers might use it after a gemba walk to try out improvement suggestions. Plan: Assess the current state and look for improvements. If a problem exists, examine it in detail. Develop possible solutions and means of execution. In this phase, gather as much information as possible to make informed decisions about how to proceed. Do: Try out the plans, making sure everyone involved understands the changes. This implementation phase is key to getting accurate results. Act: If the changes work, continue using them and make them the new standard. This will be the new point of reference for future PDCA cycles. The PDCA cycle is continuous. This means once it's completed, people can begin looking for further solutions to implement in the future. This tool is an important part of kaizen (continuous improvement), as it provides a framework for carrying out ongoing changes. Dr. W. Edwards Deming, a leader in the field of quality management, popularized the PDCA cycle. The PDCA cycle is sometimes called the Deming Cycle or Shewhart Cycle, since Deming always credited American physicist Walter A. Shewhart’s work for the basis of PDCA. Later in his life, Dr. Deming referred to this cycle as the PDSA cycle, changing the Check stage to Study in an effort to get people to do more analysis during this phase. In either case, this process is based on the scientific method where someone makes a hypothesis, tests it out, and takes appropriate action based on the results. The PDCA cycle has become an important part of Lean manufacturing in many businesses. Like value stream mapping, OEE, and Takt time, the PDCA cycle can help identify waste for elimination and contribute to kaizen efforts. It’s often used when a problem has been identified and people need to figure out how to fix it. The PDCA is a great step to take after a business has just evaluated their facility’s Takt time and discovered production to be out of sync. Another great time for PDCA cycle implementation is after they’ve calculated Overall Equipment Effectiveness (OEE) and found suboptimal results. PDCA can be used at any time, though, regardless of whether a problem has presented itself. 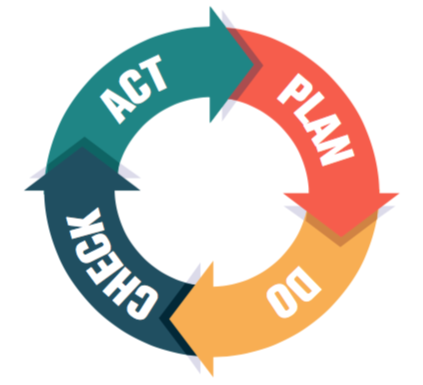 To start using PDCA, people involved should spend some time observing the current situation to determine what’s wrong or what could be done better. Having enough information makes a big difference in whether PDCA will yield successful results. The PDCA cycle is a helpful way to think about improving any process in the workplace, so it’s beneficial to teach employees how to do it and have them participate in the process. PDCA is usually a team effort, but the thinking behind the PDCA cycle can be used by individuals to improve their own tasks, too.